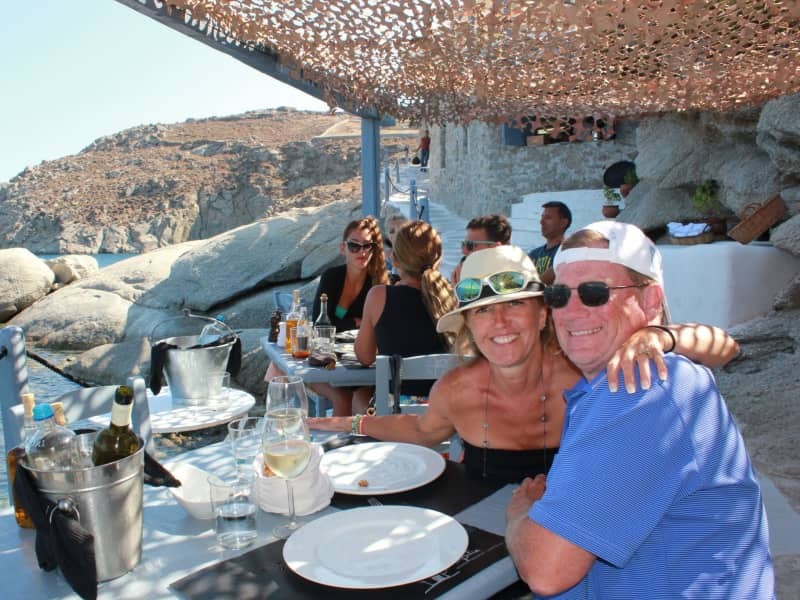 Trustworthy & almost retired Canadian couple ready to travel the world in an affordable way! We are in our early 50's with 4 grown children who all live on their own either in Canada or the USA. Mark is a Professional Engineer who has worked his whole life in the Telecommunications Business as a Network Planner & in Finance. I (Lisa) have cared for Children almost my whole life but over the past, 7+ years, have run my own small "very successful" business caring for newborn to 1-year-old babies each school year. I take the summers off to recharge! We have no grandchildren as of yet, so it's been my way of providing much love and affection while getting my "baby fix". We just moved to Colorado last September due to a job move for Mark. I now am caring for elderly folks. Doing caregiving jobs like this obviously takes patience, kindness, a gentle demeanor, attention to detail and an enormous amount of trustworthiness, so you can rest assured that we would treat your home and pets just as well! Both Mark & I have many, many great references that we can provide to you over and above any that you see here on our profile. We are professional, committed, have great values and are very happy and relaxed people. In the past 3 or 4 years, we have rented homes in Ski, Beach & Historical areas throughout the US & Canada for our family vacations. We've used HomeAway.com, TripAdvisor.com, Airbnb.com, VRBO.com, and FlipKey.com. All homeowners that we've rented from have always been pleased with the way our family leaves their home after our vacations. We have never had an issue and have always received our full security deposits back as well as being encouraged to return again. Although we have a beautiful home, and two small Yorkies of our own, we are ready to start enjoying some of our downtimes. 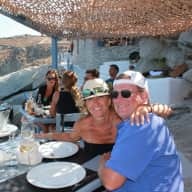 We have had two couples from this website come to spend time in "our" home and care for our dogs while we went skiing last February and then vacationing in Mexico this past April. Both couples were wonderful and took perfect care of our belongings and pups exactly as we would expect to care for yours. We love this website and this idea! We are hoping that soon we'll be on the other end of this house/pet sitting opportunity and prove to "you" that we are the perfect people to care for your home and pets. It would be nice to find a housesit in Ontario, Canada near some of our kids this summer, but we are open to any possibilities right now! Mark & I are caregivers. We enjoy taking great care of our home, our people, our pets, and our belongings. We understand how important it is to find someone you can trust to care for the things that are most important to you in life. We just lost our two old cats in the last year and a half and we miss their snuggles every day. We've thought about getting another one but hope to fulfill that void by snuggling your feline for you instead. House & pet sitting while we travel to new places just makes perfect sense to us at this time in our lives. Our two dogs (old Yorkies), would be missed while we went away, but probably like you, we feel they'd be less stressed if they stayed home in their own home/environment and had a loving pet sitter come and stay with them. We are very neat and tidy and do not smoke. Mark & I take great pride/care in the commitments we make in our lives so if we agreed to help you out, you could rest​ assured that we would not cancel on you. We are ready to break loose of the grind of the jobs we've been doing for many years and start enjoying life through traveling​. What better way to get to see the world while still maintaining our financial comfort level!? We are still young and vibrant and healthy, so we enjoy golfing, meeting new people, hiking, swimming, biking, reading, playing games and soaking up the sun in a beach chair! House sitting seems like the perfect "fun" job for us right now. We believe that we could treat your home and pets as if they were our own. Lisa grew up on a small farm in Ontario, Canada with cows, chickens, ducks, geese, horses, goats, dogs & cats. Our children have had dogs, cats, rats, hamsters, fish and even an iguana while they were growing up. Mark & I just lost our 2nd beloved cats to old age in the past year and a half, but we still have our 2 small older dogs. We just sold and moved out of our beautiful large home with a saltwater swimming pool and attached hot-tub in Virginia so we know how to maintain a pool. Our new home is now a bit smaller in Colorado. We've had neighbors and friends house sit for us and care for our animals as well as hired house/pet sitters in the past. Since finding this website, we've had two couples come and house/pet sit for us. What a wonderful experience! We completely understand this concept and are ready to reciprocate. We have always taken excellent care of our neighbors and friends homes and pets when they've needed us, so we are very confident that we can do the same for you. Lisa is a responsible, clean, and organized person. She will care for your home and animals like her own. I highly recommend her as a house and/or pet sitter. We have know Mark and Lisa for over 8 years. They have taken care of our dog on several occasions while we were on vacation. Our dog had was 'special needs'. He was diabetic and required two daily shots of insulin every day. He was also blind. "Happy" (our dog) had a attachment to the Clare's and we felt very comfortable leaving him in there care. We have been to their home numerous times. It is very well kept. They also have two dogs, one since she was a puppy the other they adopted from another family unable to take care of him. Their cat, which they had since she was a kitten, recently passed away. We feel very fortunate to call the Clare's our friends and have no reservations with recommending them as House and Pet Sitters. Please let us know if you need any additional information.